﻿ How is corporate wellness increasing its fan base? The corporations are really worried about the health scenario of the employees. The productivity on the floor deliberately gets affected when the responsible employees do not show up due to ill effects of bad health. Being cooped up in a cubicle and leading a sedentary lifestyle generates stress and tension. The prolonged stress hampers the wellbeing of the employees giving birth to a grave health problem in the future. Due to the increase in the health-related cases, the companies also have to provide aforesaid health insurances to the respective medical institutions. To keep employee health on the track and reducing the expenses of insurance, a corporate wellness program is incorporated in the system. The main hurdle is to attract ample mass for the program to initiate and keep the workforce strong. The list of tips below will ensure that your corporate force is attending the wellness programs actively. Becoming tech savvy and using electronic devices will engage a huge mass by creating a new fashion appeal where the employees will look cool. The new fashionable fitness items are very attractive and will surely motivate the group to indulge in attending the wellness programs. Not everyone is amped up for a workout session. This is why the incorporated regimen must be simple enough. The accomplishment in the first level will definitely motivate the group to move forward and attend the second level. If the employees have to go through a technical formality before entering the regimen, it is highly probable that they will stop participating. Try to make the process more fun and interactive so that it does not seem like a burden to them. Remembering to attend the wellness program seems to be another responsibility. This might prove to be a negative factor that nullifies the enthusiasm. You can arrange a particular setup that will send reminders to the attending participants. For an instance, reminding the employees to achieve their one-mile goal by 5 more minutes of walk will surely motivate them. Personalized reminders always have a more-caring outlook. Probably the best way to ensure that the participants will show up regularly is via making a group of known faces. The biggest hurdle an individual faces while attending fitness classes every day is the unknown faces. Going alone seems to be a big burden. Enable your employees to share their progress with others so as to come up with a community of fitness enthusiasts. There are many ideas that are going viral these days in this aspect. Energizing the group with fun fitness activities and teaching valuable lessons regarding healthy food will make your plan to attract more mass in the wellness program a successful venture. For an instance, go for a healthy potluck idea. Every employee will get a free gift of a healthy snack in the office weekly or monthly. This will also motivate them to eat healthy and discard fast food. Cooking classes along with fitness sessions are also a good way to motivate a medium-sized mass. Try finding better ideas that are crazily becoming popular in the corporate wellness aspect. Using individual fitness statistics to motivate others in the group and challenging them to surpass the level can be a good idea to start with. Let them enjoy the sessions rather than making them break a sweat to lose extra pounds. The statistical study suggests that the corporate wellness programs can bring down the cost of the health insurance to a huge extent. 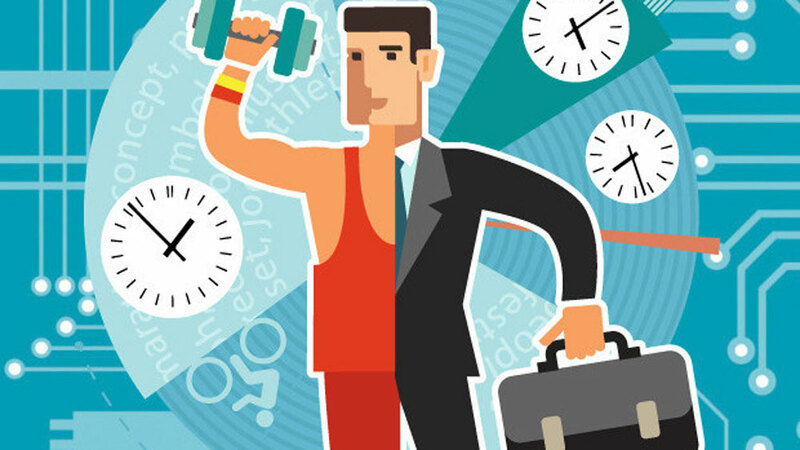 In fact, the level of productivity also escalates as the employees will be physically and mentally fit. Why not introduce an incentive plan to boost the acceptance of the wellness program? Any kind of stress-busting activity or merit badges can act as an effective mood elevator. Declaring fittest employee of the month and congratulating him or her for the achievement will also act as a huge motivation. Gift cards or coupons can be a real winner in this case. Try to set up a proper communication channel at an individual level to make the employees feel special. Provide professional health advice by registered medical practitioners to motive them and join the corporate wellness program. Innovations and instincts can do the miracle in this aspect. Communicating with the employees individually and taking care of their health will surely prove to be beneficial for both the parties.